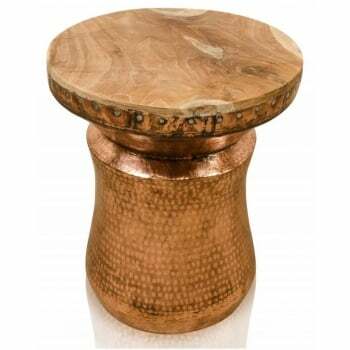 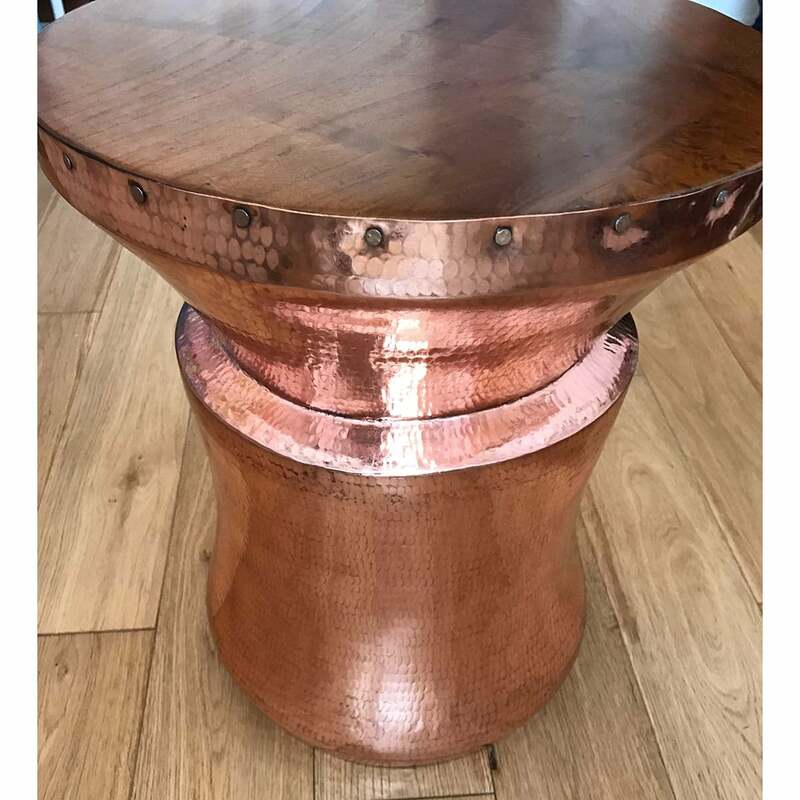 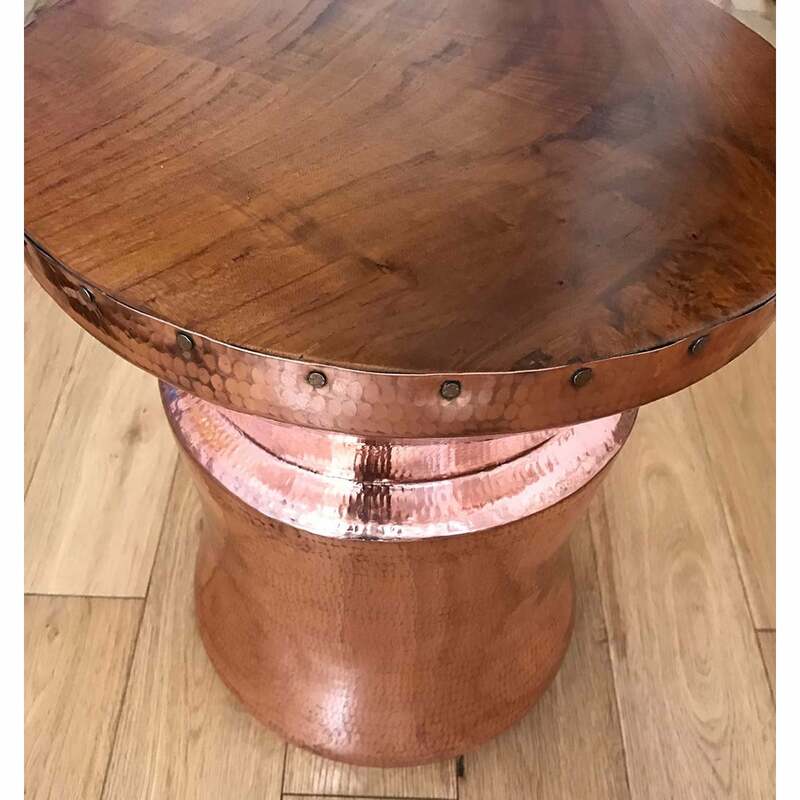 This lovely Copper Round Side Table is inspired by the iconic darbuka drum. 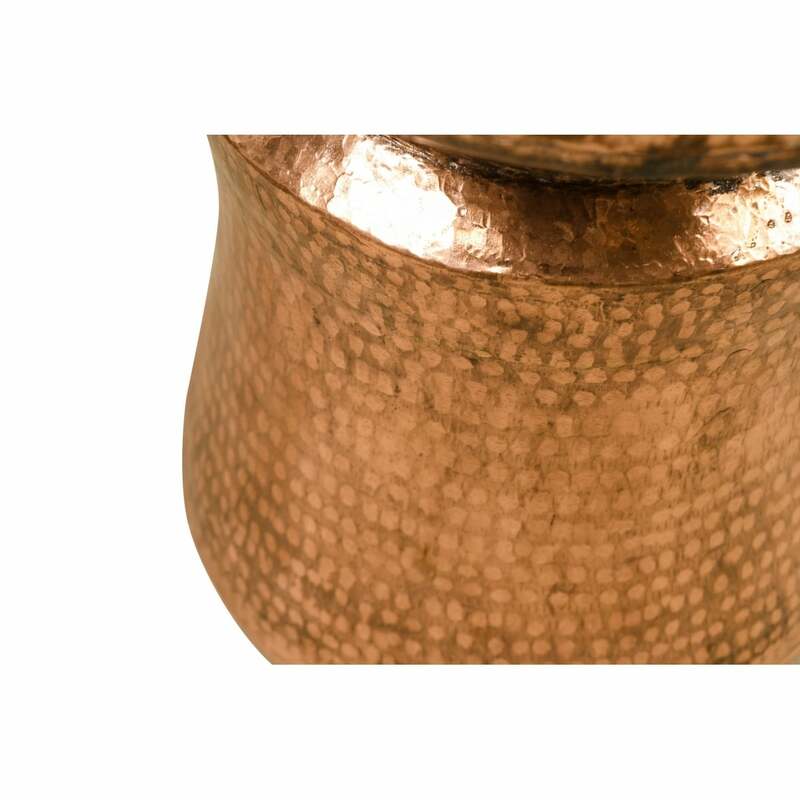 The hammered, copper plated finish brings exotic, metallic style to any space. 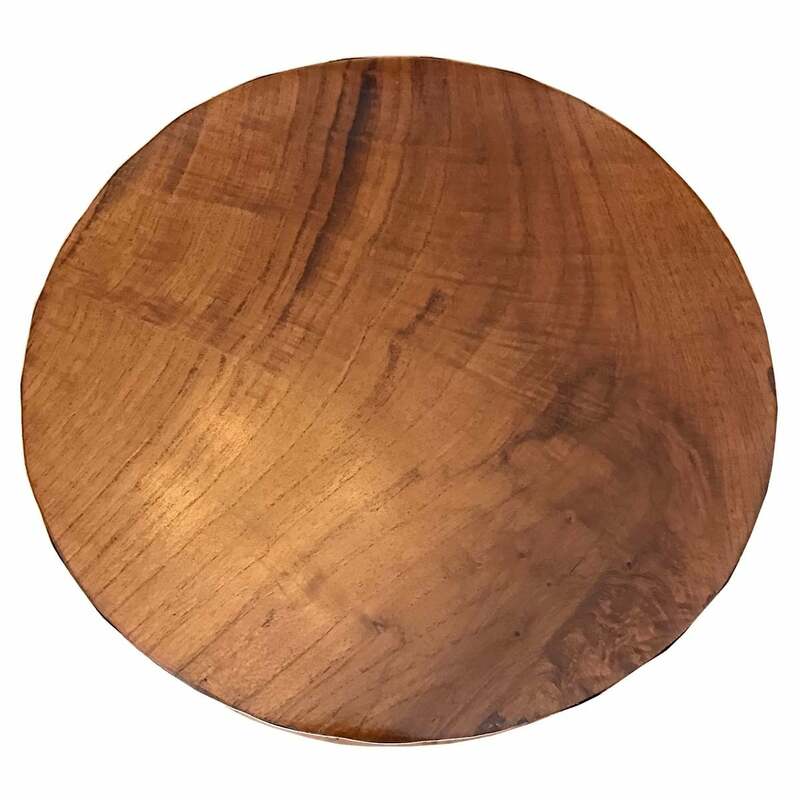 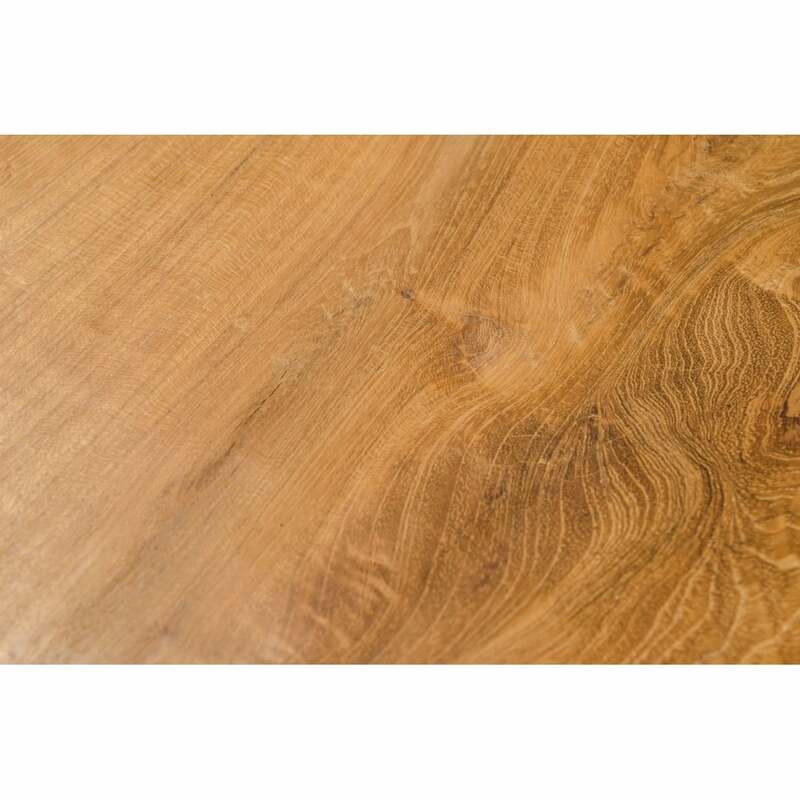 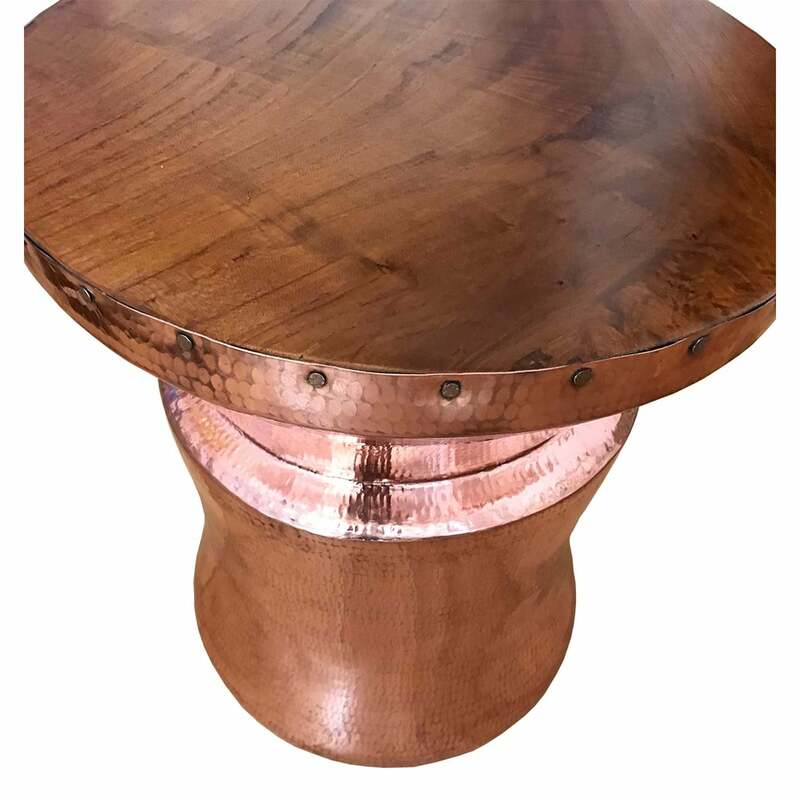 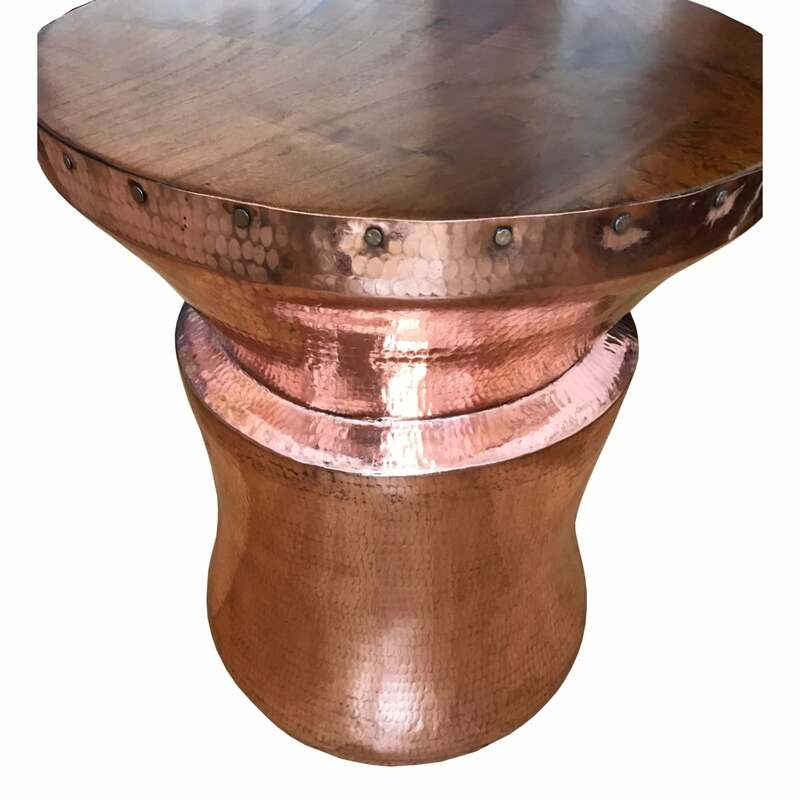 The copper drum formed design and natural teak round table top visually smarten the piece. 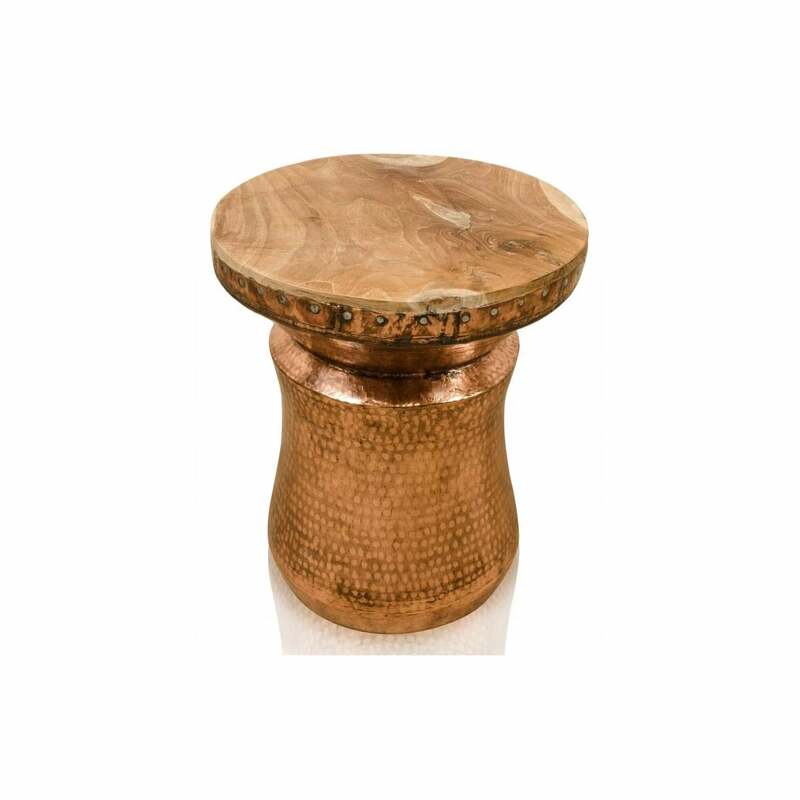 A striking contemporary piece for any room!